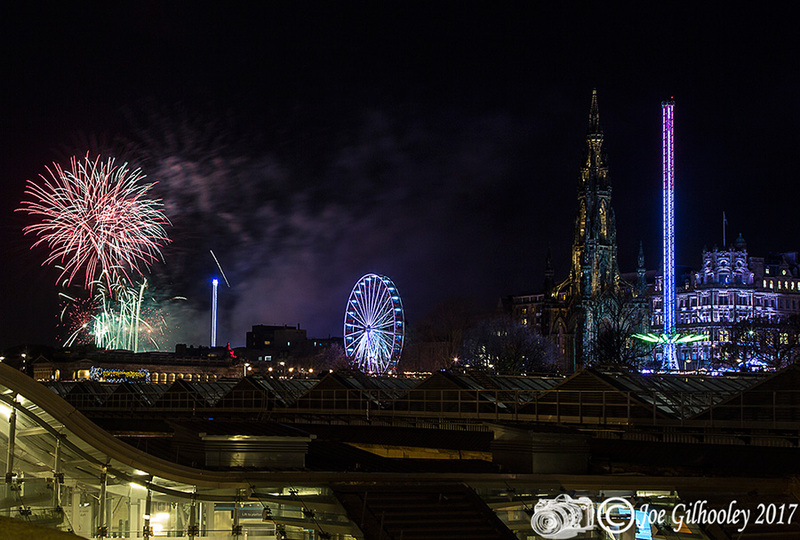 Sunday 19th November 2017 . 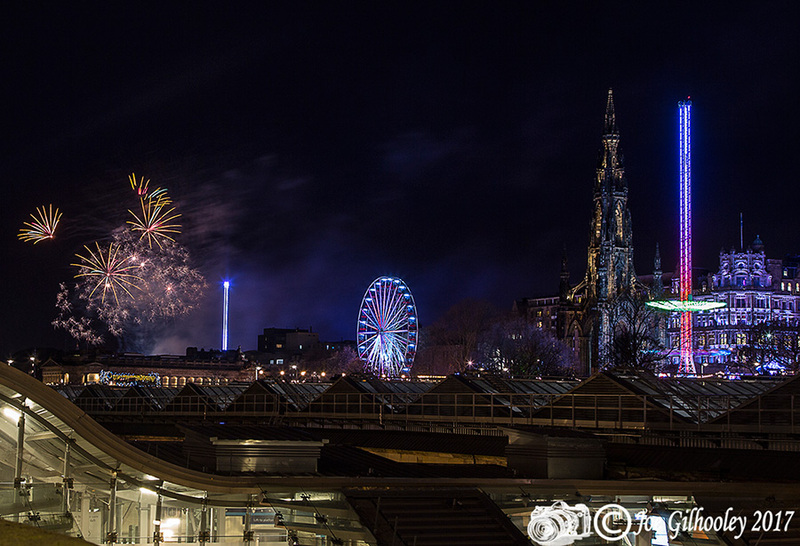 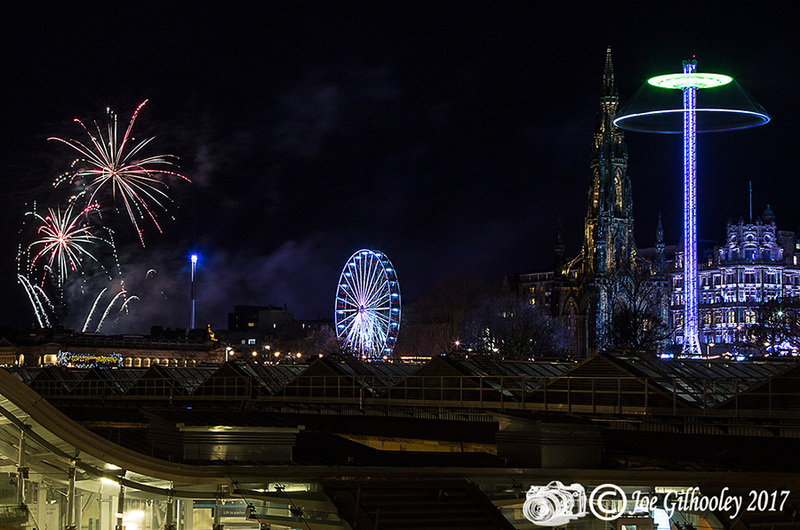 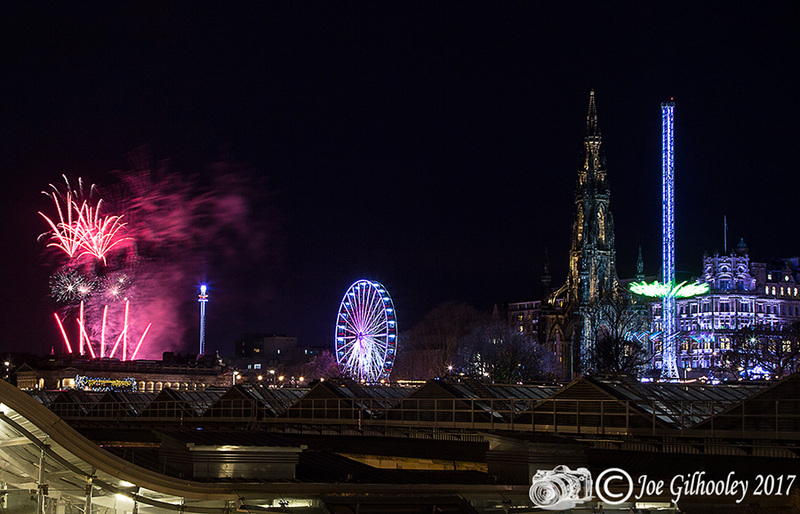 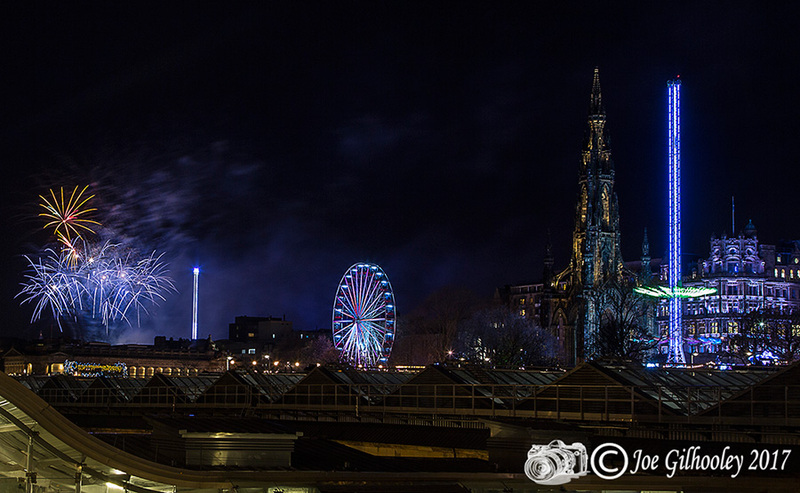 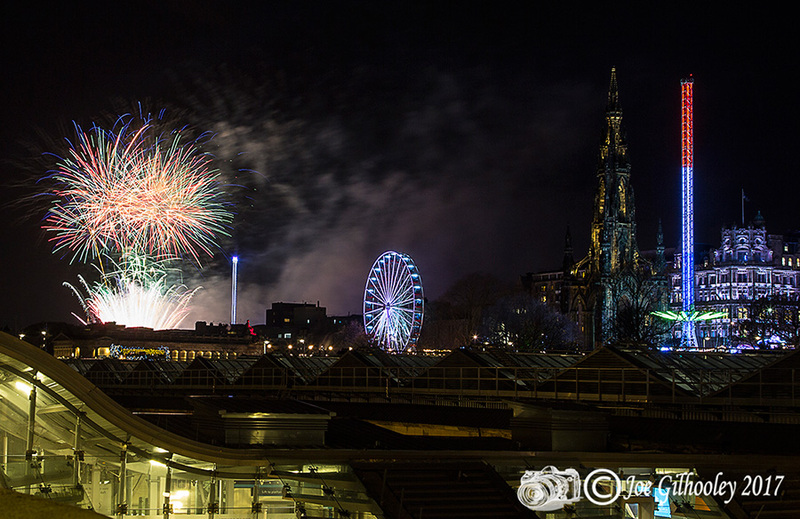 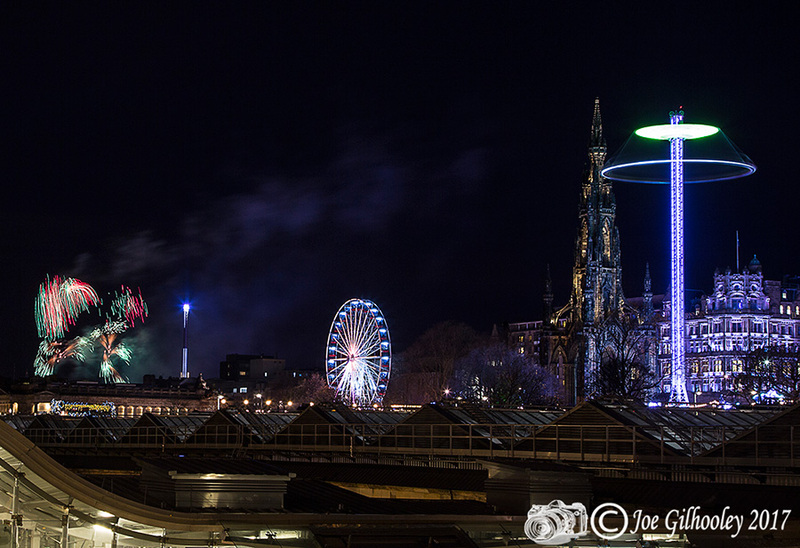 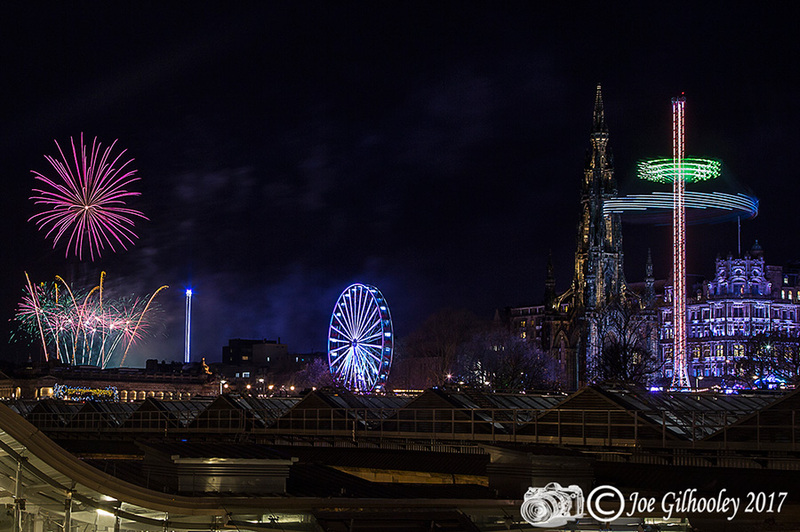 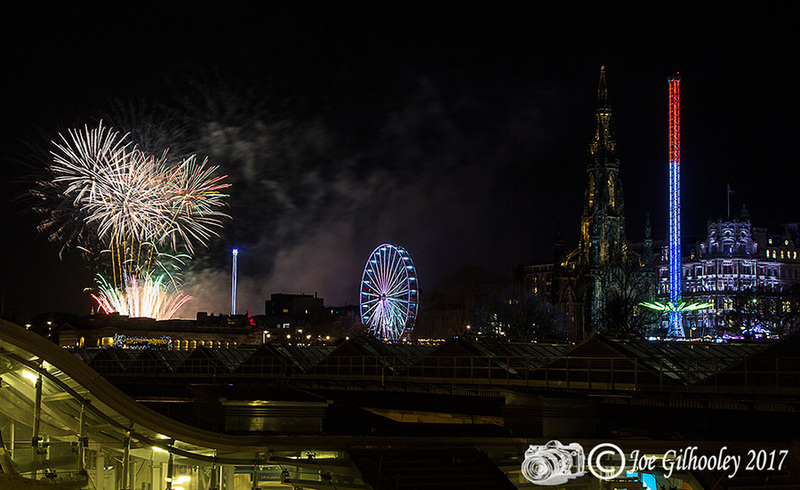 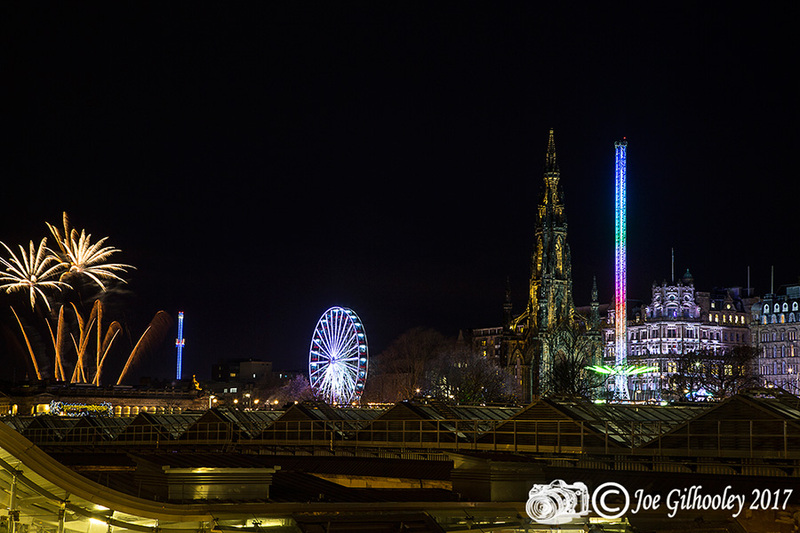 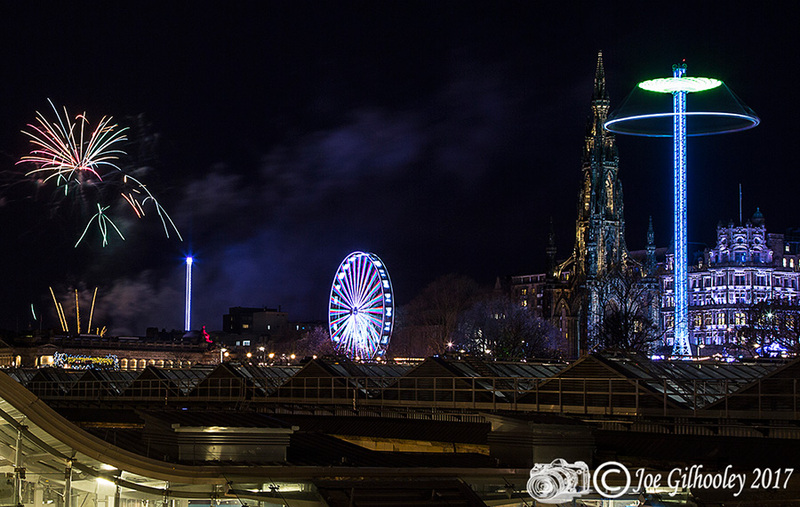 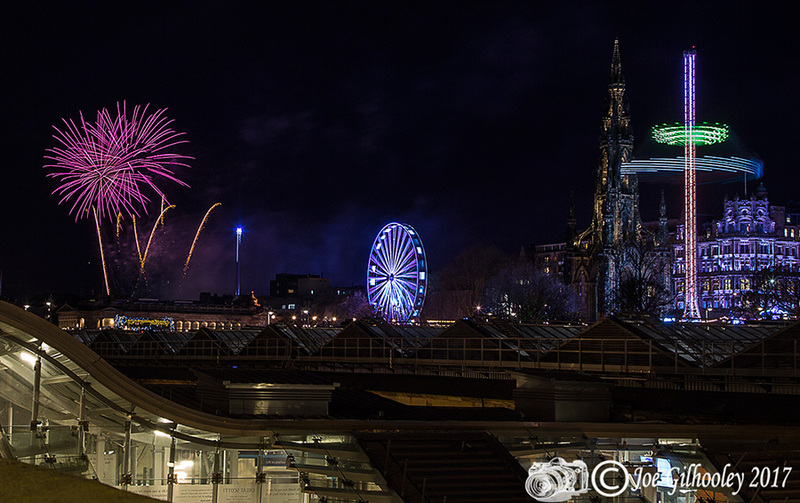 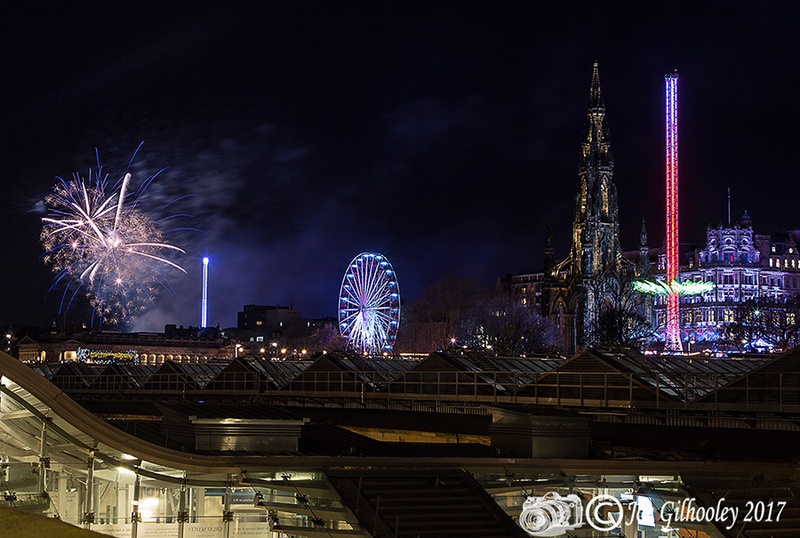 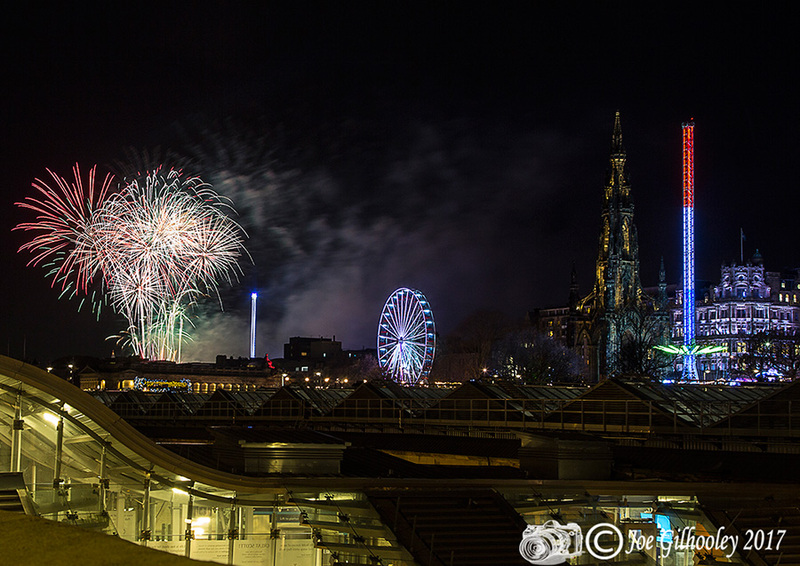 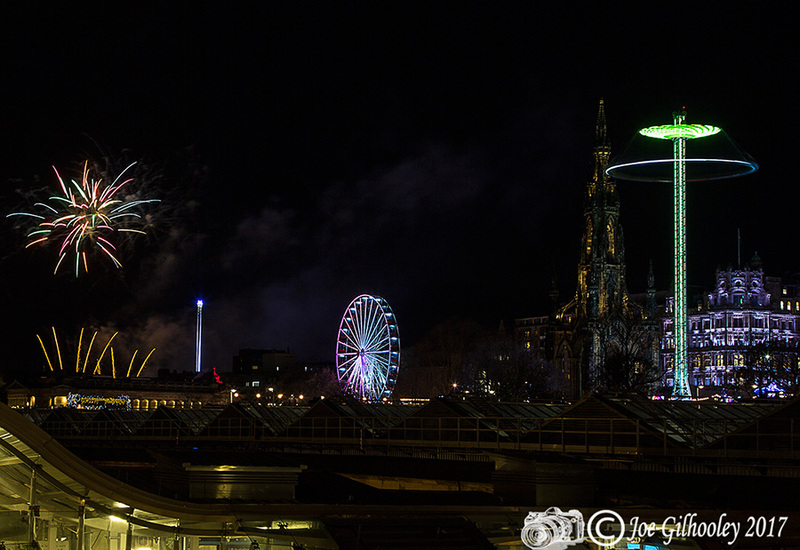 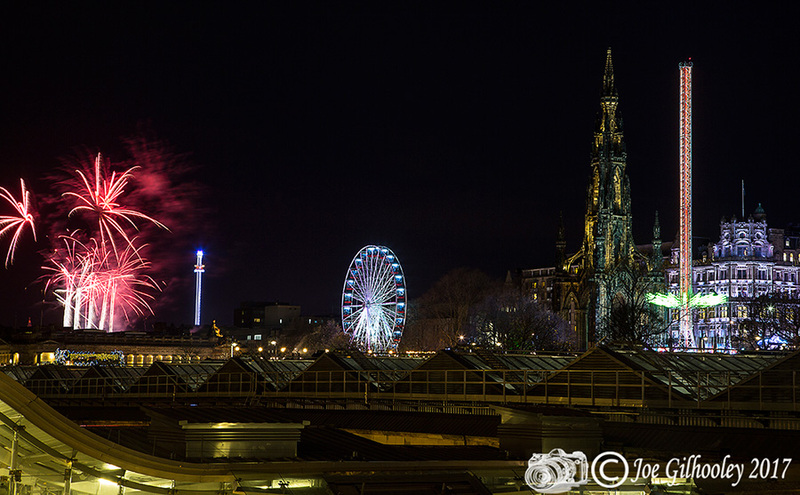 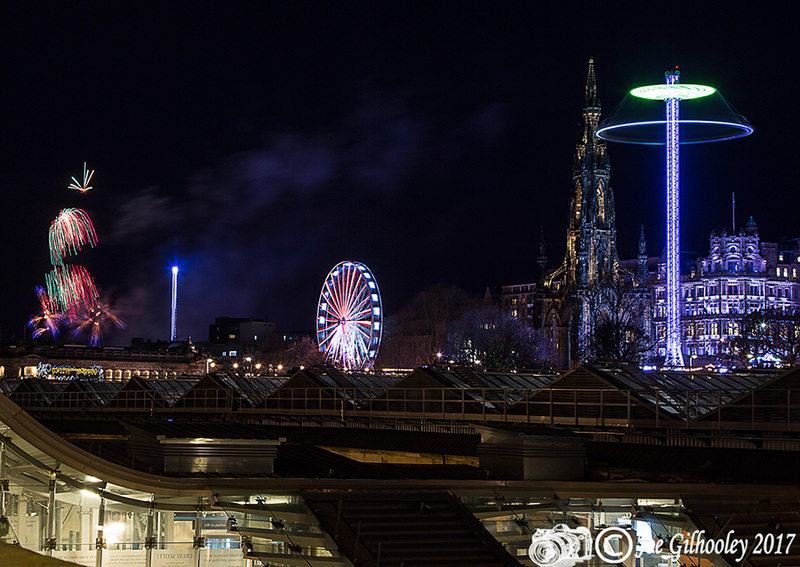 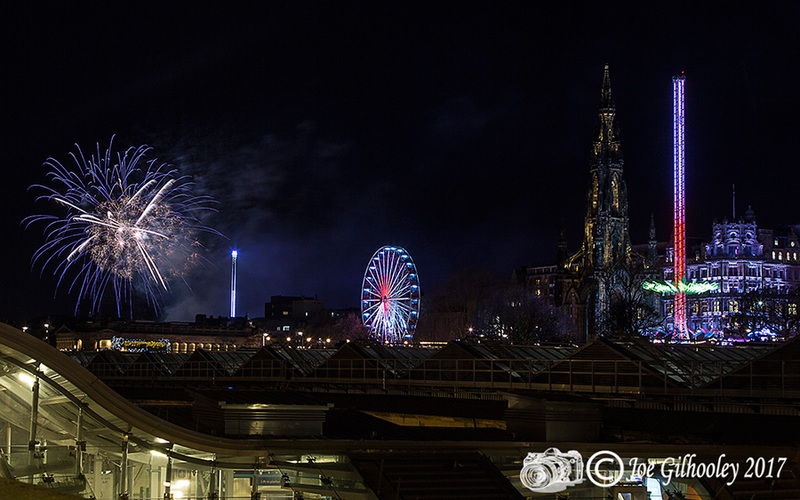 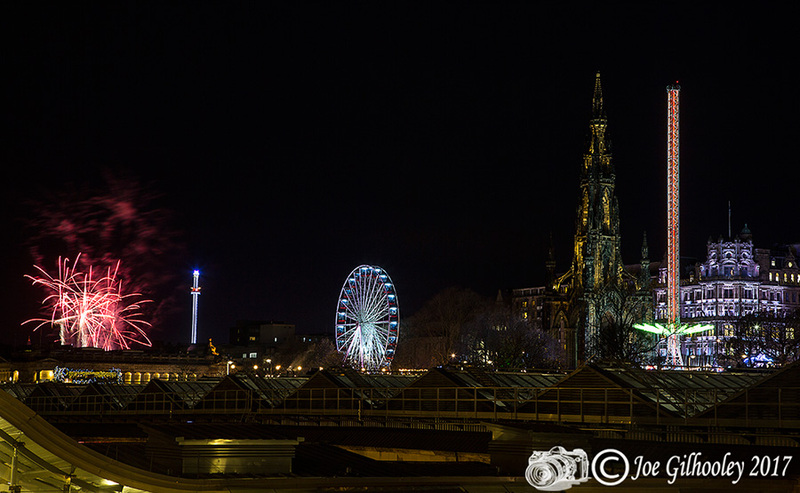 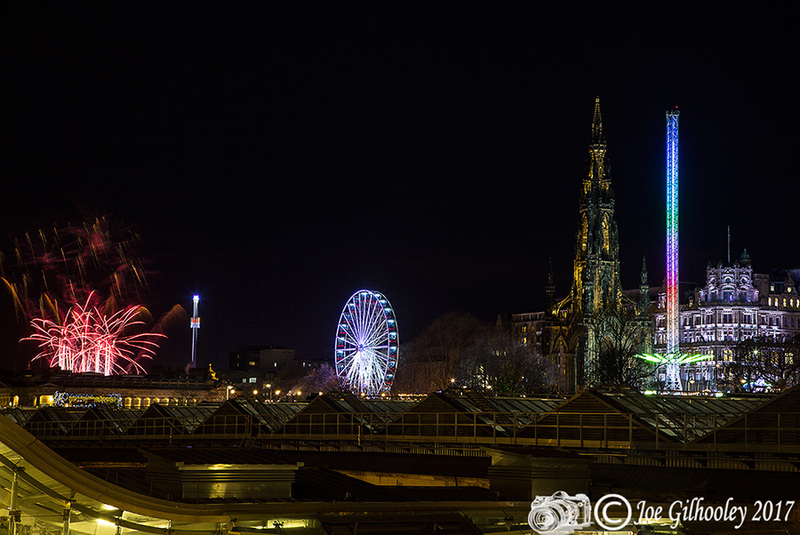 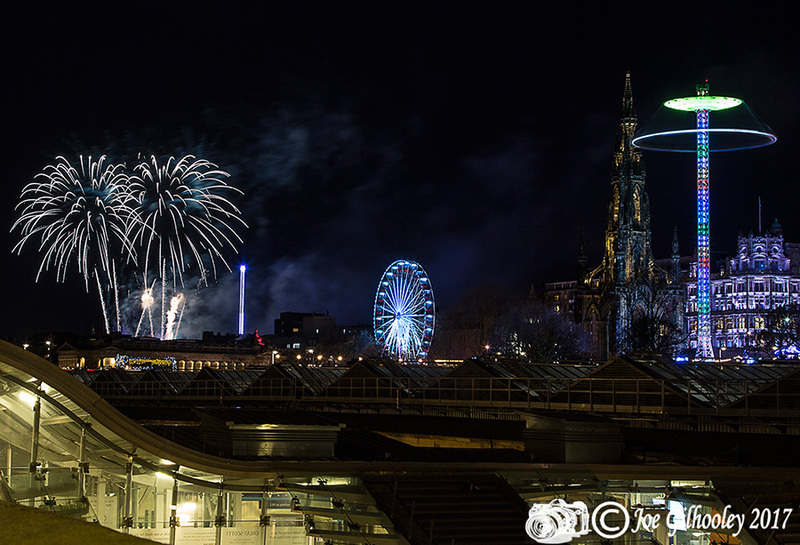 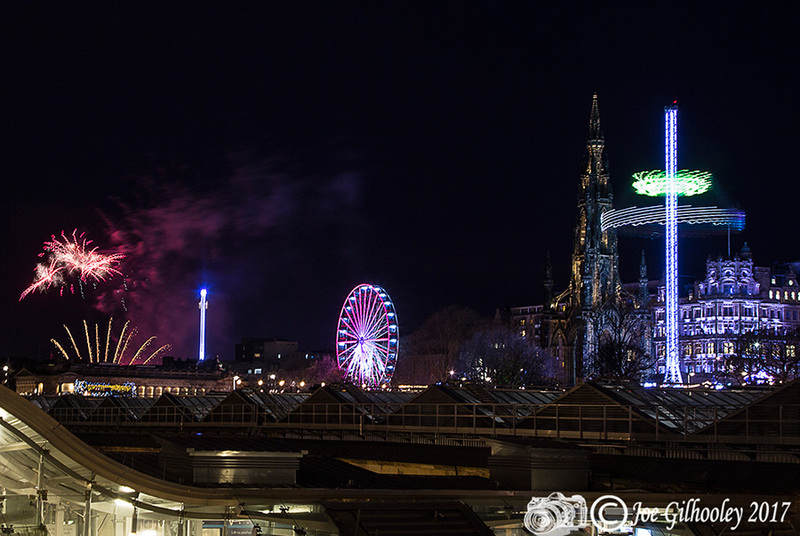 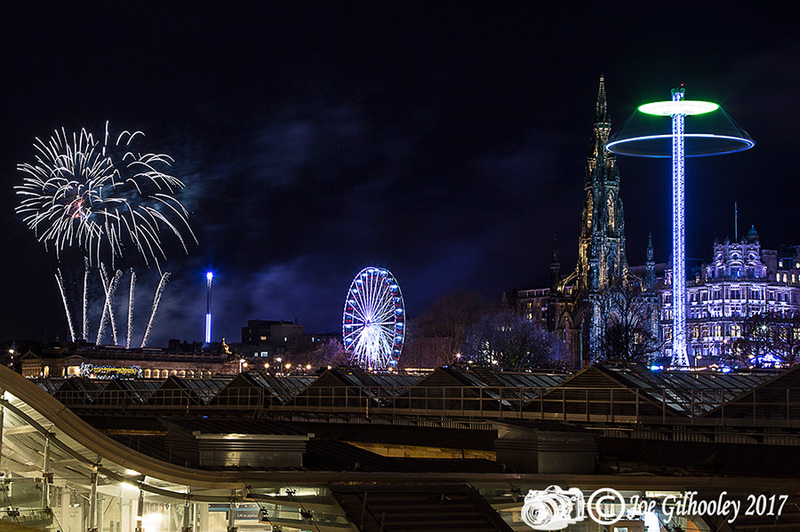 I had an hours notice to get into position in Edinburgh when I was told fireworks were part of the Edinburgh Christmas Lights Switching on ceremony. 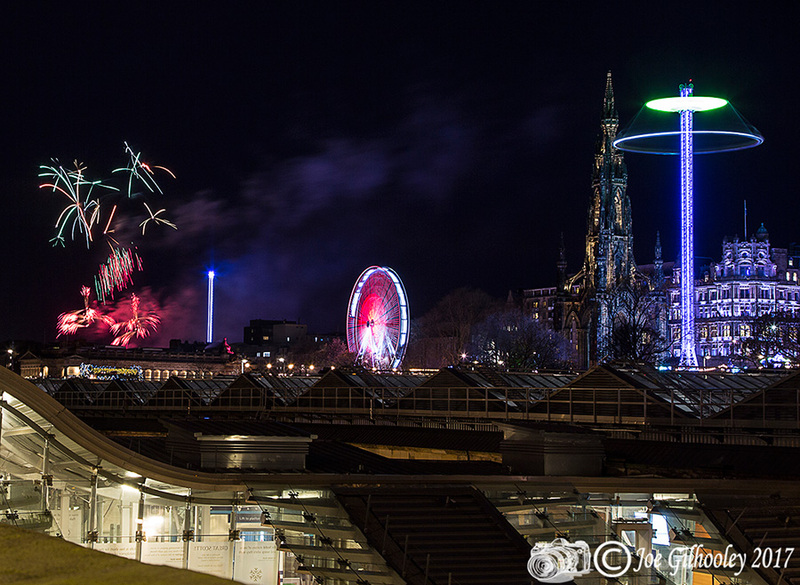 I had to guess where the fireworks would come from. 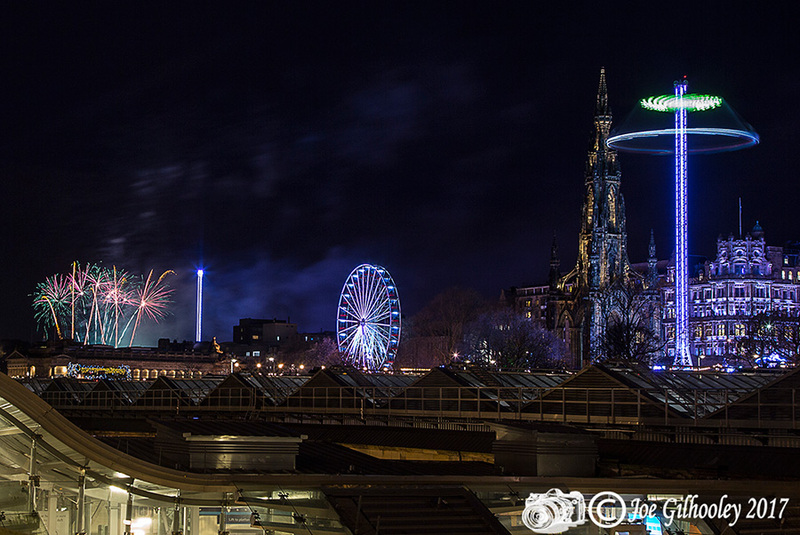 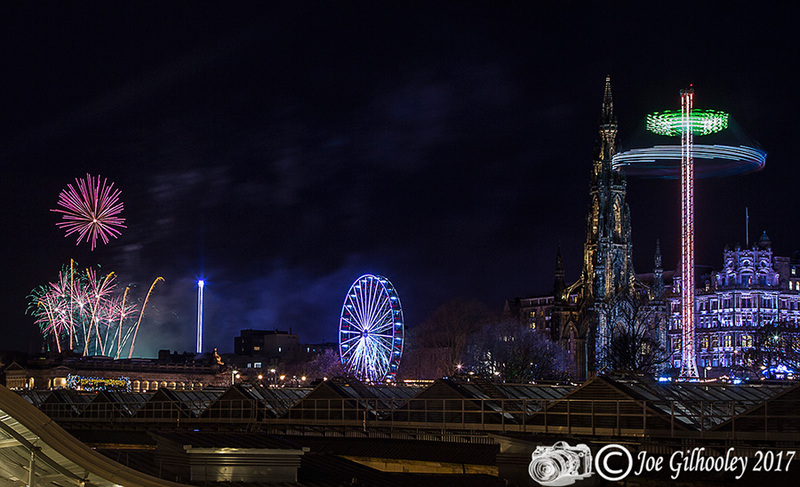 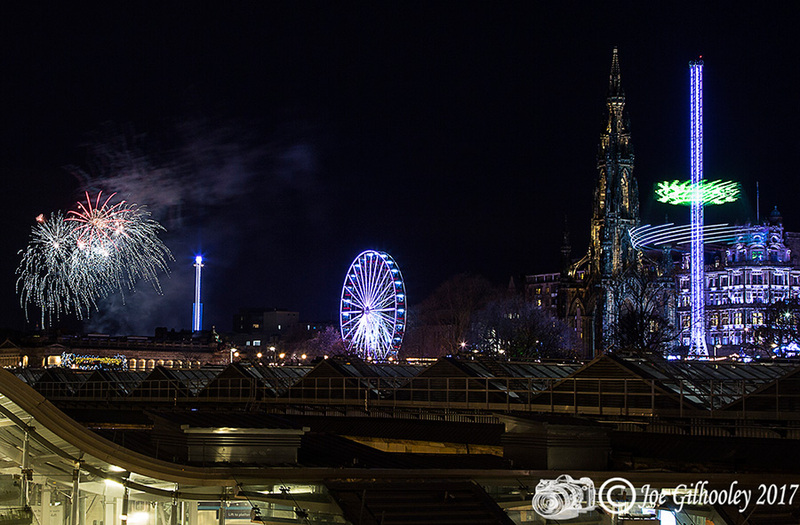 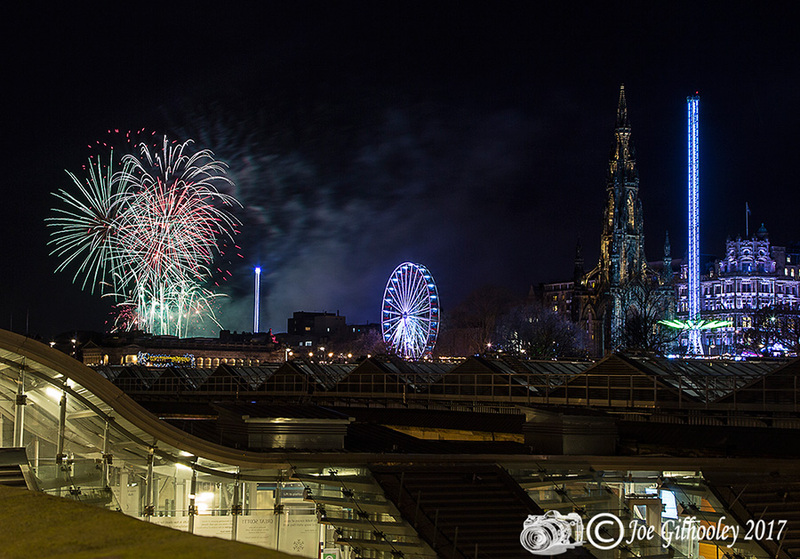 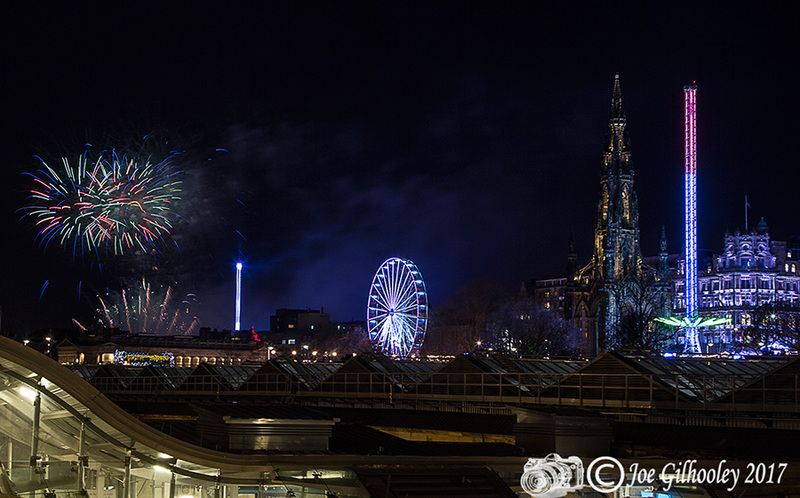 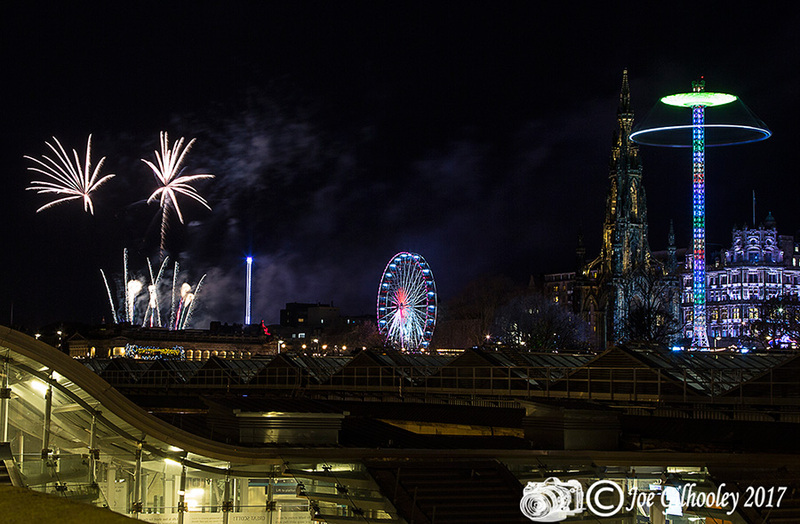 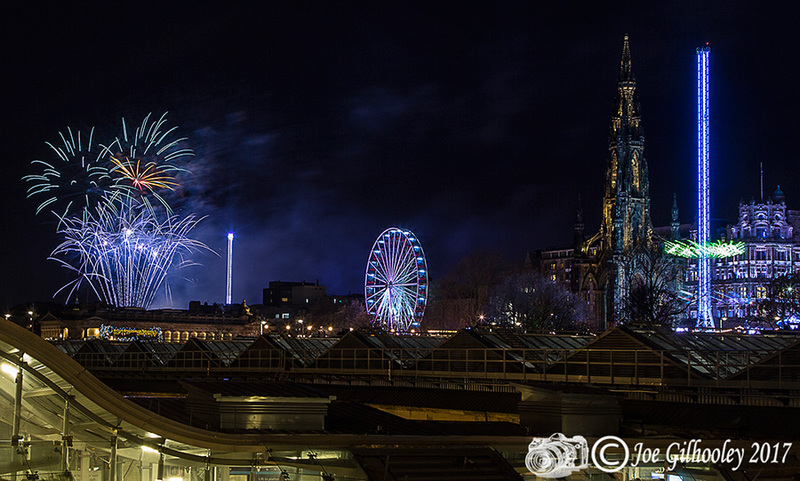 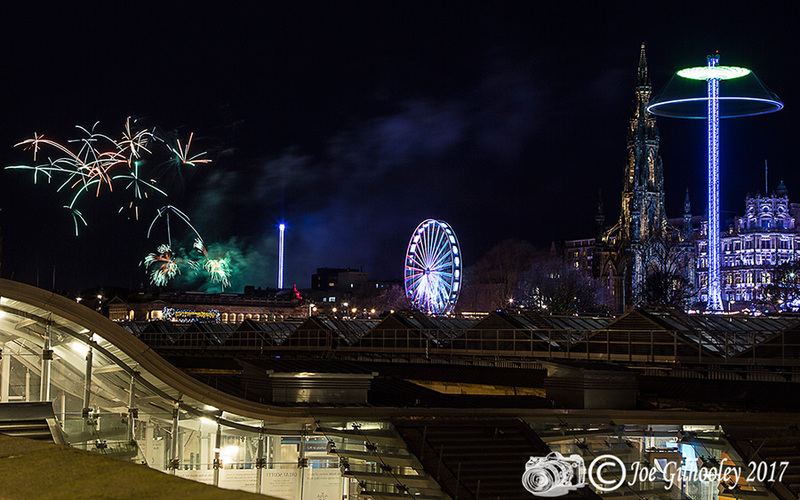 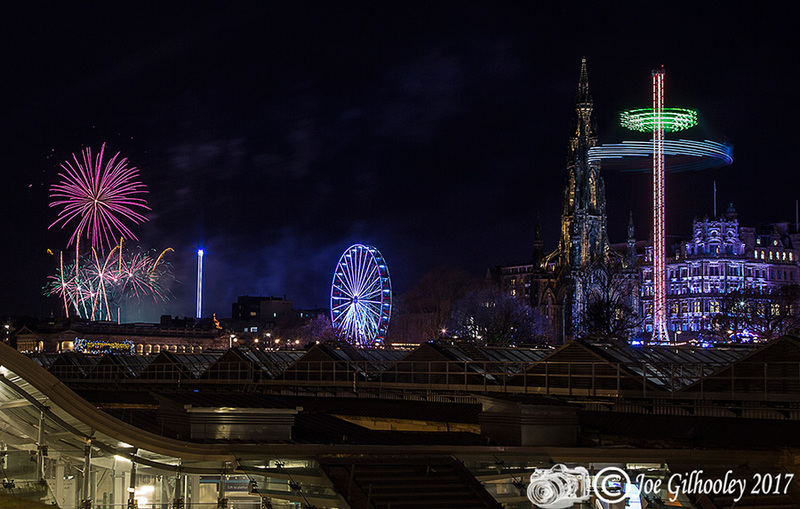 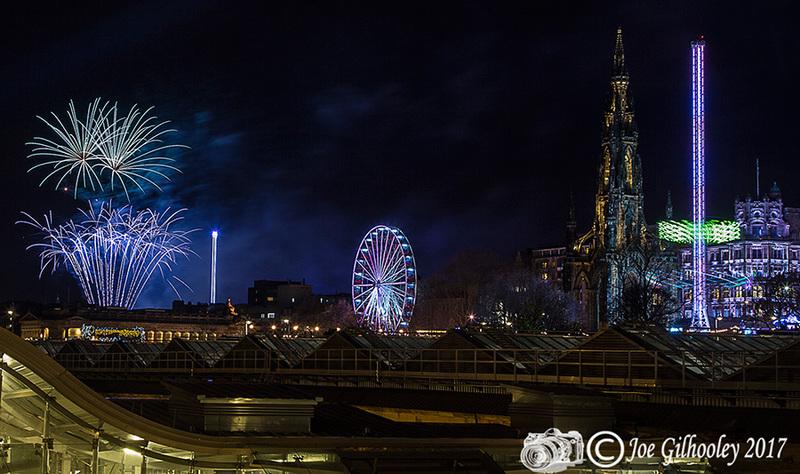 Took a chance and set up overlooking Princes Street Gardens Attractions pointing camera west. 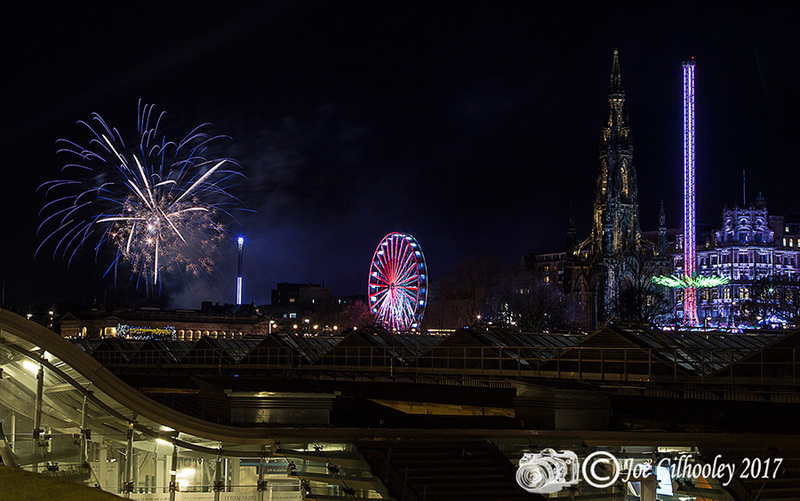 Bingo I was lucky and right. 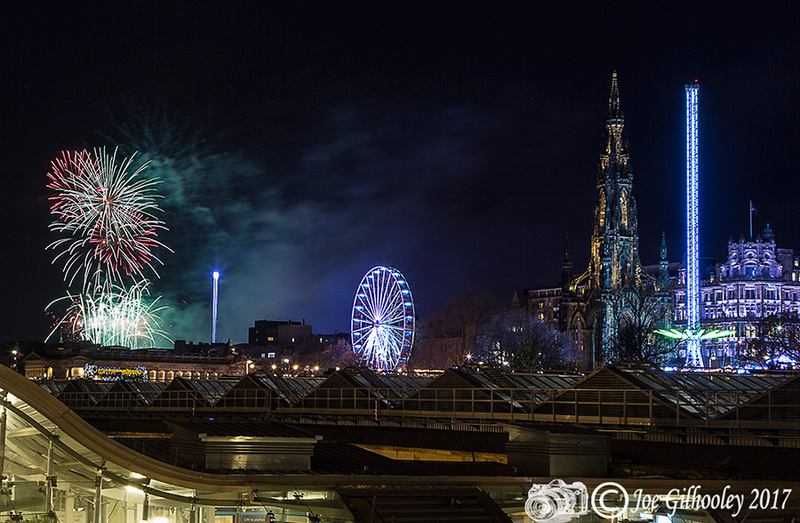 Just love these shots as they include more than just fireworks.